What information or instructions do you give new owners when they get a puppy? This email to the breeder exemplifies a well-informed, conscientious owner. We just wanted to catch you up on the new puppy we got from you and I had a question about his dog food and raw meat and the chicken wing we gave him. He’s an awesome little puppy and we’re enjoying him so much! I can honestly say he’s 100% house trained. Hasn’t had an accident since the first couple weeks we had him and he only had a couple. He learned to ring the “Poochie Bells” to go outside. I attached a picture, they are bells that hang by the door and a dog can be trained to ring them to go outside so quickly. He loves being outside when it’s pretty and we frequently have really mild winters down here so he rings them A LOT!! He’s also learned how to sit in a few short sessions. I have some questions about something I read about ii de-natured ? dog food. What does that mean? He’s trying all kinds of raw food and it’s been a bit of an adventure and learning curve for me. His first time eating a chicken wing I watched him like a hawk hoping he wouldn’t choke to death. It went against everything I’d ever heard. Now, I still keep him in sight but I don’t worry. He eats like a King. He’s had raw oxtail, flank steak, ribeye, hamburger meat, chicken liver, chicken heart, chicken gizzards, calf liver, venison, eggs and cooked bacon. He also loves strawberries, green beans, broccoli, cauliflower and carrots. He has mackerel with his fish oil supplement and his Standard Process Immune Support. Took some trial and error to find a food he’d eat with the supplement in it as it’s got a strong smell but the mackerel was the ticket. I realized he was gaining a little too much weight so I had to google how much food he should actually have. Now I measure and weigh it. Found out the hubby was feeding him a whole piece of bacon at breakfast!! So he’s now limited to a small piece with his eggs and raw meat meal. He had his last puppy shots, one distemper/parvo vaccine at 17 weeks and he still hasn’t had any heartworm prevention. The veterinarian didn’t even mention it?!?! He did recommend he come back for rabies vaccine in a few weeks. I told him I’d be back after 6 months of age. He was fine with it. I’ll probably wait longer just to be sure as I know rabies isn’t a threat. I have an old school vet from a nearby small town that doesn’t push anything. I made it clear this puppy won’t be poisoned with over-vaccination and conventional meds/dog food. He LOVES his squeaky toys, stuffed animals and to play fetch with his miniature squeaky tennis balls! Ok. He loves to run off with everything and then come back and get another toy until I have nothing. Then we get to fetch the toys ourselves and start over, lol!! We noticed when we fed Blaze the raw frozen prepared dog food I bought from the store he would vomit and my husband commented it smelled like playdough. So I looked closer at the ingredients and it has montmorillonite clay in it!! I’d heard of good detox benefits from bentonite clay but this is a whole different beast. 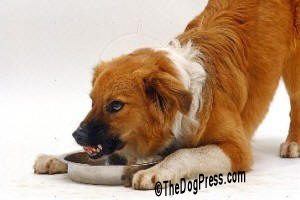 I’d already stopped feeding it to him but this morning I looked it up and found an article on TheDogPress and was even more horrified about them putting clay in dog food. I called myself doing all this research and spending lots of money on raw dog food only to find it’s no better than kibble. Maybe worse. Advice starting with the dog’s place and space in your home. 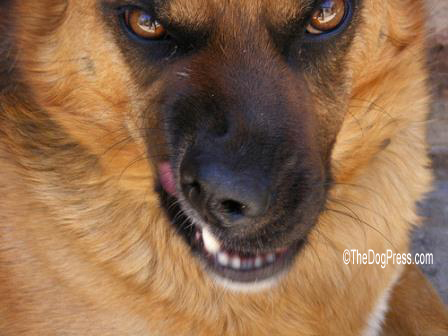 Dog attacks are rare and 99% of all dog bites are preventable.